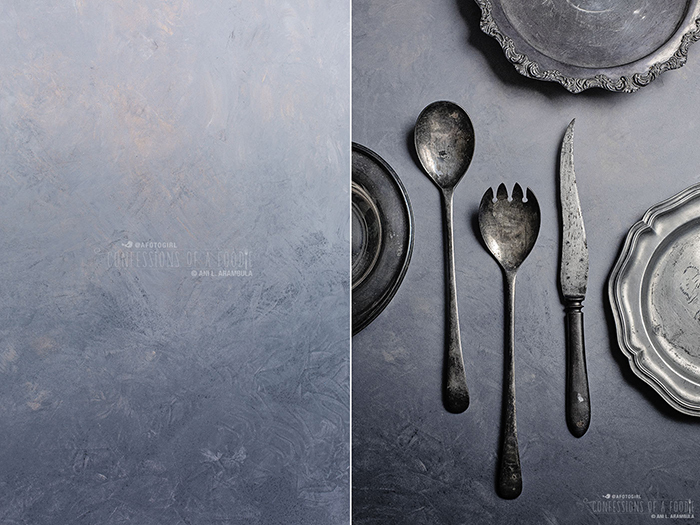 How to make your own photo backgrounds for food photography by using masonite board, paint samples and gel medium for added texture. Eight weeks ago, I posted a quick video on Instagram and Facebook early one evening as I was finishing up painting the first two of four new photography background surfaces. I got some interest in them on my social media streams so the next day, I began my painting early enough to take photos of my progress so I could create this post with my behind the scenes tips and tricks. This one is a little crazy and I wasn't sure how I'd use it but I loved it in this scene. This one has become my favorite of the four surfaces I made. 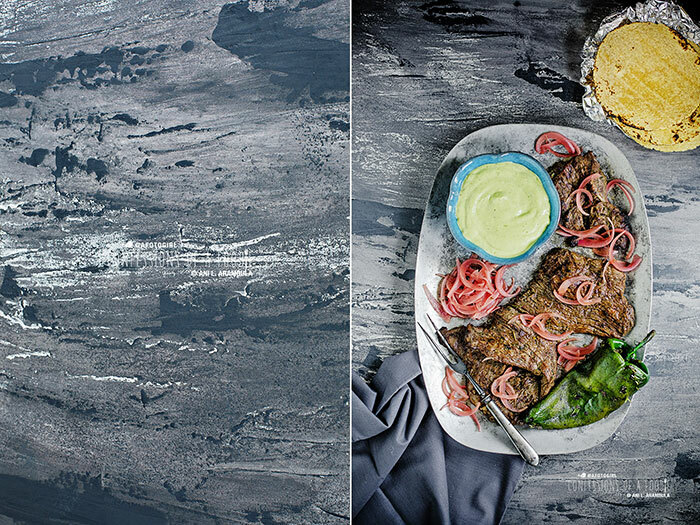 It looks very much like slate in most of the food shots. Like the first surface above, I used a crackle paste to build up texture before painting. 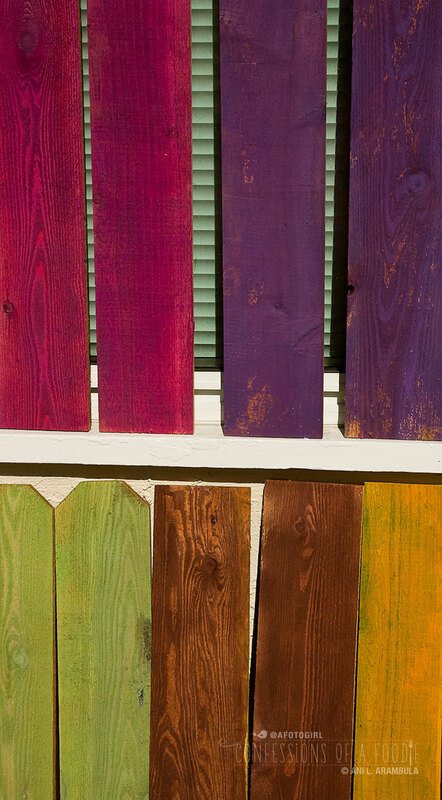 I've used this ombre board several times for my day job shoots and love it! It's totally subtle but adds just enough interest. This is the backside of the ombre board. I use this one a lot. As a surface for top down shots, it's quite elegant and as a backdrop for eye-level shots, it adds a lot of depth. Two 24x30-inch masonite boards. Masonite boards are my favorite to use for these kinds of backgrounds. I buy the kind that are relatively smooth on both sides (one side is shiny and one side is dull but overall texture is smooth). Having them both smooth means that I can paint both sides thus getting two surfaces in one! These dual smooth side boards are available at art supply stores (home goods stores sometimes have them on hand but they are smooth on one side and distinctly rough and patterned on the other side, think peg board). Locally, my preferred place to shop is Artist & Craftsman Supply on Fourth Avenue in Hillcrest. I buy several at a time in different sizes to have them on hand for when I have time to paint new surfaces. Although I have used 16x20-inch boards, my favorite size is 24x30-inch. This bigger size isn't so huge that storage is an issue but they are large enough to create a scene for an overhead shot. Paint samples. I use FLAT paint. Semi-matte, satin, semi-gloss are all too shiny for photography backgrounds. You will constantly be fighting hot spots while shooting. I tend to get Behr because their flat base is pretty darn flat. Samples are usually between $3 and $4 depending on which base you get. And as an aside, Home Depot will let you use any color swatch from any paint maker with any sample base as they use a paint analyzer on the swatch to come up with the color formula. The grays I used here were actually Gideon paint swatches but Behr flat paint. 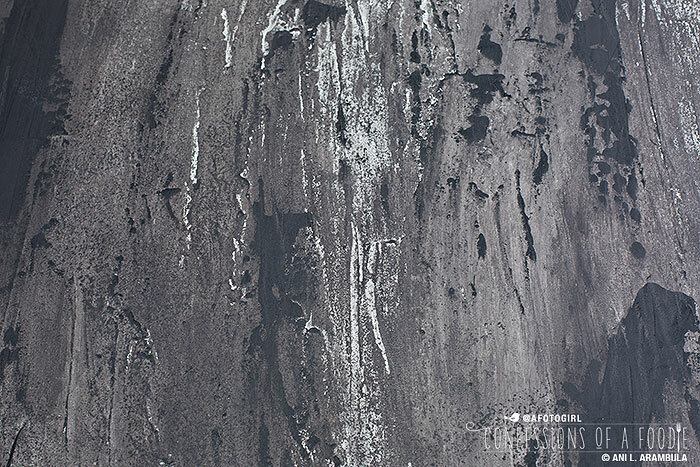 For this project I used a medium gray and light gray that I bought specifically for this project and black and white paint samples that I already had on hand from previous projects. For texture, you'll need a gel medium. Golden is the brand I use. For this project I used Crackle Paste. Michael's and Artist & Craftsman both have a good selection. You can get fiber, sand, molding paste, and different kinds of gesso. All of them will give you different texture results. Surface 1: I painted light gray on the left, medium gray down the middle and a dark gray on the right. Start working from light to dark. Wearing protective gloves, add a scant two tablespoons worth (I am calling out tablespoons so you have a general idea of how much paint to use; I didn't actually use tablespoons, just eye-balled it) of light gray paint to the painting tray and then add about two tablespoons of water. Stir well and then use a roller to apply to the board. Next, add some of the medium gray to the painting tray (it's OK if there's still some of the light gray in the tray). 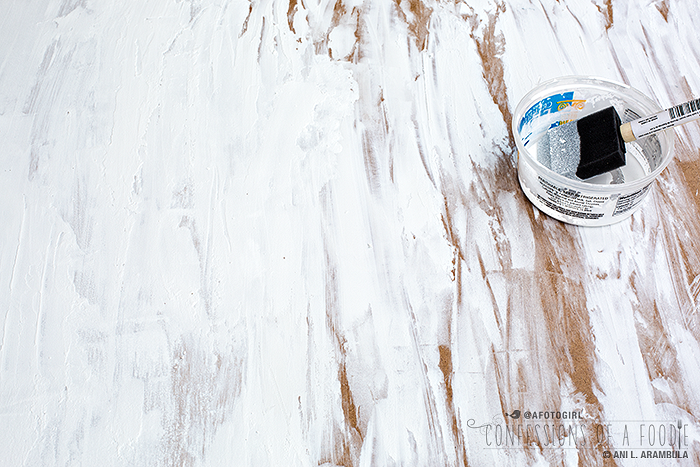 Add some water to thin, stir and paint the middle of the board with the roller. Lastly, add black to the painting tray along with a drop or two of the light gray to lighten the black. Add some water to thin, stir and paint the right side of the board. While the paint is still wet, use a wadded up piece of damp t-shirt and smooth out the areas where the light and medium grays overlap. Repeat where the medium and dark grays overlap. 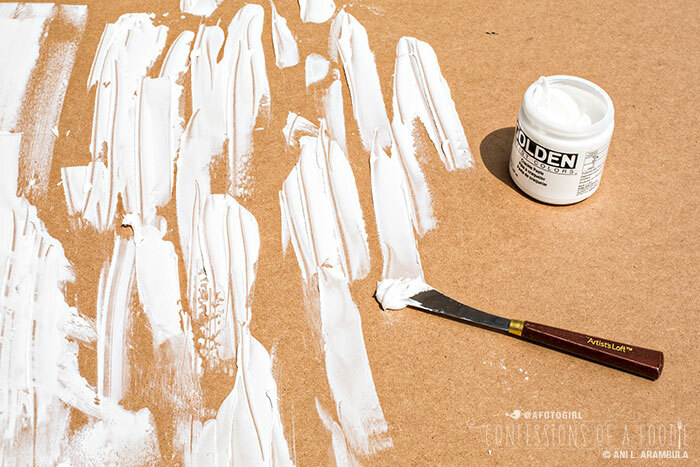 Turning the t-shirt to a clean spot, wadded up again, and working from light to dark, start dabbing around the wet paint to create texture, rubbing some paint away in the lighter areas so that the tan of the board peeks through, then moving to the middle of the board and to the right. For distinct texture, dab straight down, then pull straight up. For even more texture, use your latex covered fingers to add swirls (like finger painting when you were a kid!). Stop whenever you are happy with the texture and allow to dry completely before flipping it over and painting the other side. I think I let it dry about 1 hour and then it was ready for me to flip. 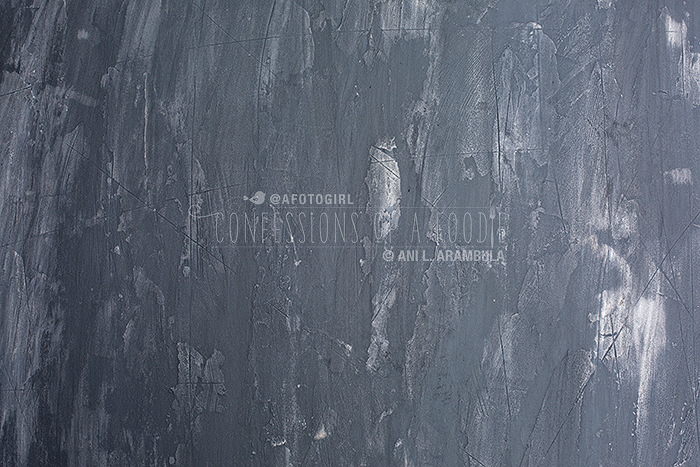 Surface 2: For this one, I started with black first then added texture with the roller using a light gray. Dip a foam brush a third of the way directly into the black paint. Evenly paint the surface of the board. Add a tablespoon of light gray paint to the painting tray and dip the roller into the paint and then roll it back and forth a few times on the bumpy part of the tray to remove excess paint. With a very light hand, just barely touching the surface, roll only once in either an upward or downward motion onto the black board, lifting the roller off the surface completely before moving to another part of the board and repeating. Mix up the direction and the pressure of the roll in order to build up texture. Those lines you see on the board? I made them by doing a quick straight down then up bang of the roller brush onto the surface of the board. Stop when you are happy with the texture and allow to dry completely. 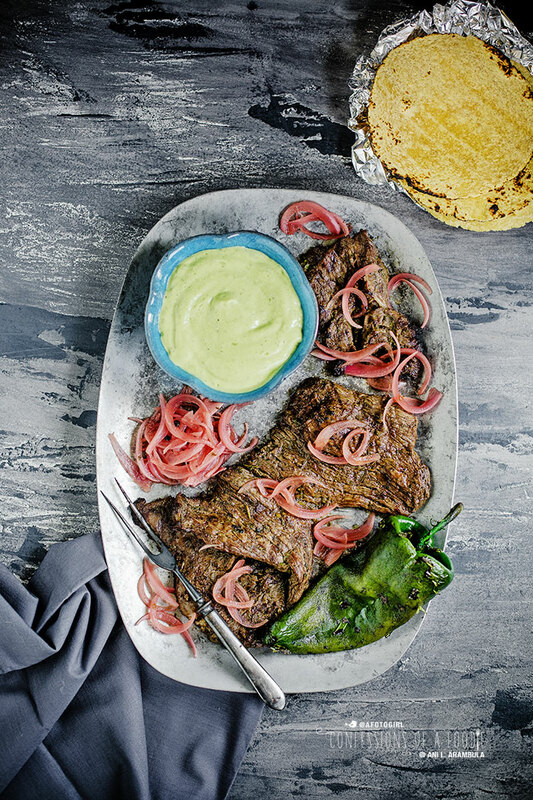 Scoop up some of the crackle paste with a palette knife. Randomly spread it onto the board in varying degrees of thickness, leaving some of the board showing through with no medium. Add some white paint to a small plastic container, thinning it out with a little bit of water (eyeball about a 2:1 ratio of paint to water). 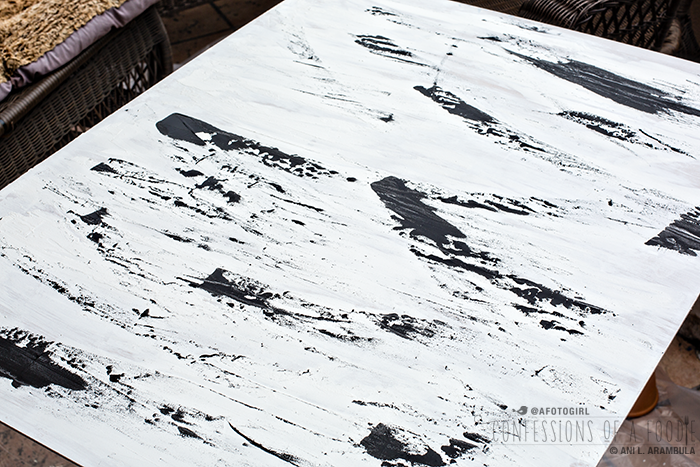 Using a foam brush, lightly coat the entire board with the white wash.
Next, dip the palette knife into the black paint and randomly apply to the surface of the board with varying pressure. 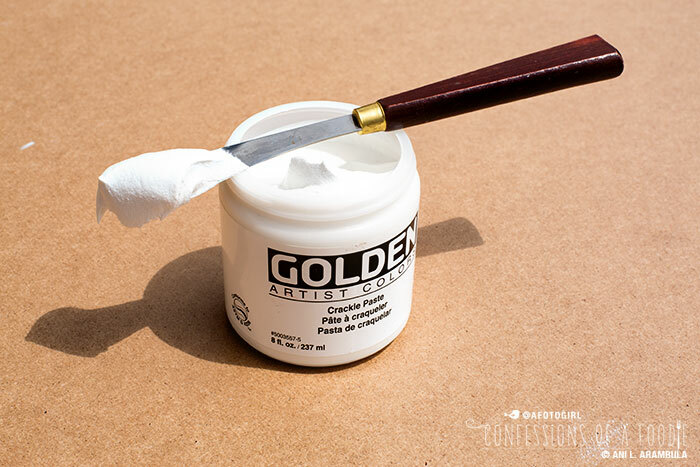 If you keep the palette knife at roughly a 45 degree angle while applying paint, it will be easier to control the application by just skimming the surface to create texture with the black paint. Next, we're going to work in sections to build up paint and texture. Add some medium gray to the painting tray and use the roller to roll just one third of the board with a light coat of paint without completely coating and filling in the crevices. 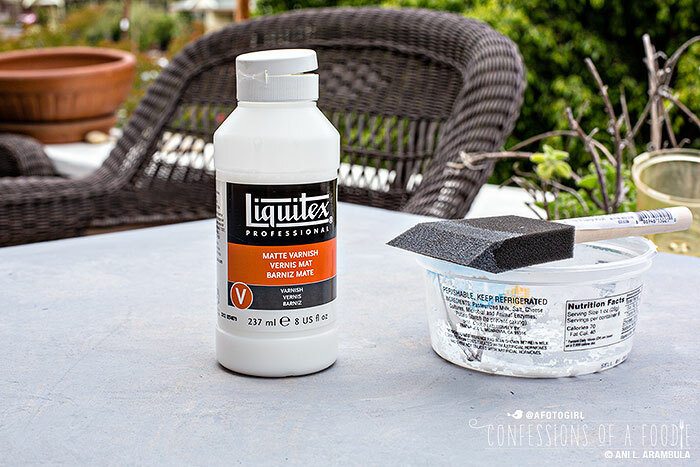 Using a small spray bottle filled with water, give the newly laid down paint a quick spray. 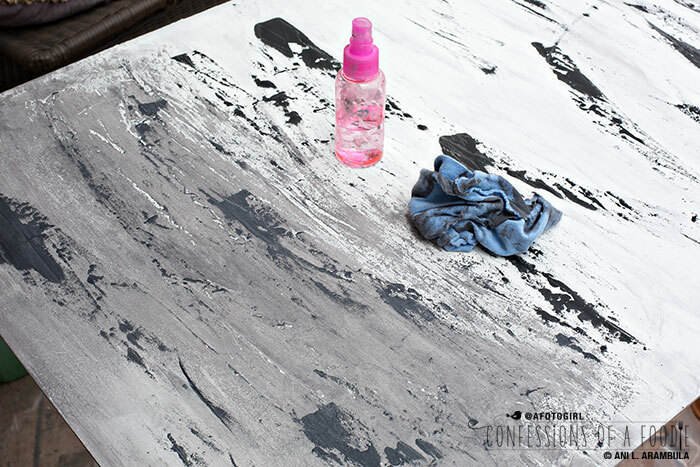 Using a wadded up piece of t-shirt, wipe in the paint in some areas and wipe away the paint in other using light to medium pressure in order to leave some of the white and black paint to peek through the gray wash.
Repeat with the middle section. See here, I left a good amount of just barely covered white surface between my first section and next section. Repeat the steps from above. Then repeat all of it for the final third section of the board. Wiping in and wiping away until you're happy with the result. Using a palette knife, apply crackle paste to the surface. Use a bench scraper to skim some of the surface to smooth small areas, but still leaving it built up higher than the board. Vary your pressure and leave some paste untouched by the scraper. If you look closely, you'll see the areas that just have paste applied with the knife and other areas that have been smoothed with the scraper. 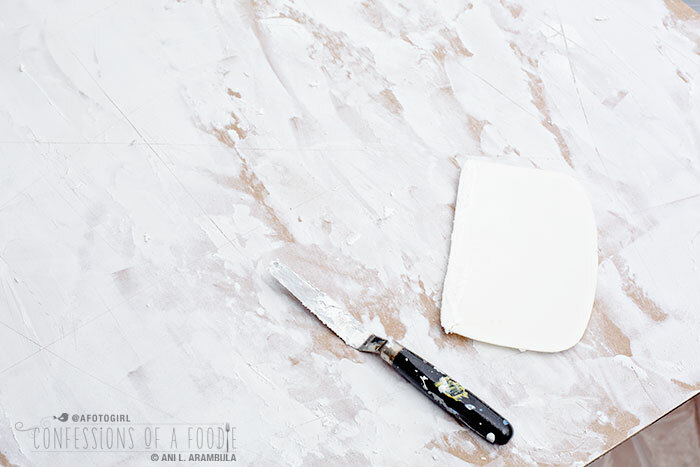 Use the edge of the palette knife to make random slashes through the paste, revealing the board beneath it. 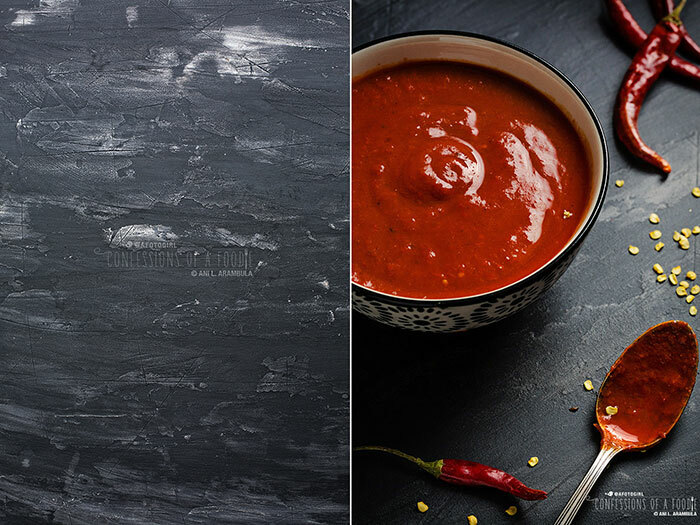 Using a foam brush, paint the surface of the board with black paint. Working in sections, lightly spray areas of the board with water. Using a wadded up piece of t-shirt, wipe away at the black using varying degrees of pressure to reveal the white below. Varying pressure will give you different shades of black from medium and light grays to the white base below. Stop when you are happy with the texture and mottling. 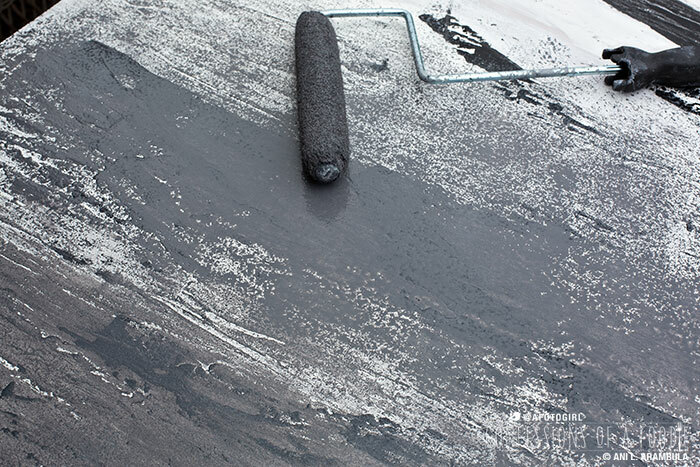 If you paint away more than you want in any particular area, simply paint more black onto the area and wipe away again. After all the boards are 100% dry (about two hours later), the last thing you want to do is seal your boards. Pour some matte varnish into a small plastic container. Using a clean, preferably new, foam brush, lightly paint the entire surface of the board in an even coat. Don't be too concerned about those brush strokes. As the varnish dries, they will smooth out and virtually disappear. Allow each side to dry for at least 30 minutes before flipping over and varnishing the other side. I hope you liked this little tutorial with some of my tips for making your own DIY photo boards. If you make any, put 'em on Instagram and tag me (@afotogirl) so I can take a look and see your lovely creations. Now go out and paint! Very cool boards! I have some stainless sheets from my husband's collection of pieces of metal (don't ask!) and although they are cool to shoot with, they are very heavy and have sharp edges. 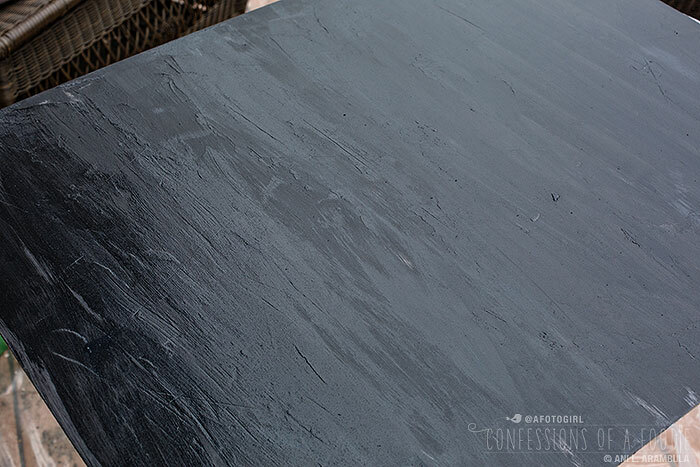 These faux metal and slate boards are MUCH easier to store and use. Love them! Ani, I'm so glad your post came along. I just bought some 'texture paint' yesterday to try this sort of thing, but didn't know here to start. 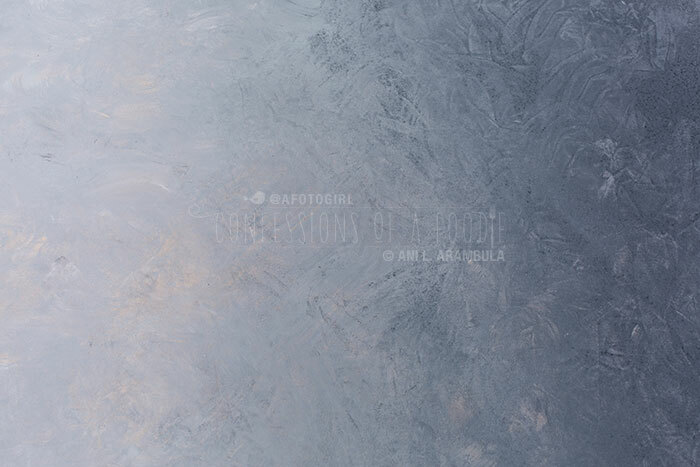 I'm a bit tired of photographing with only fabric backgrounds, so this will give me a change. QUESTION: what sort of artificial lighting do you use (what brand of lamps do you use)? I do all natural lighting but it's not always convenient. Thanks so much. Thanks for dropping some knowledge. 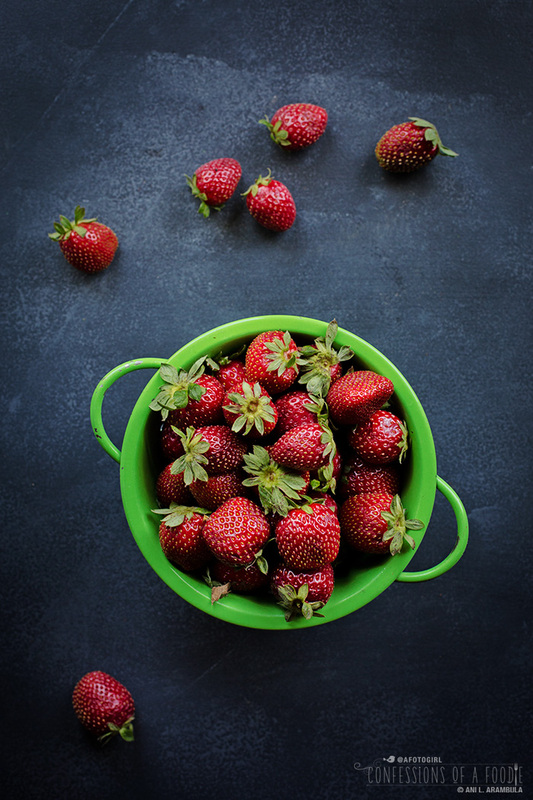 Always love your photos, and it's awesome to have some of the inside scoop! 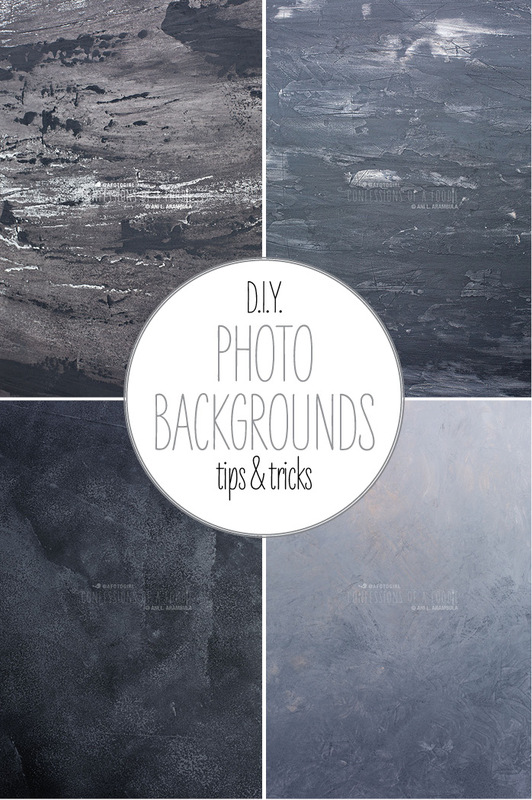 What an amazing tutorial - and as always, your photography is amazing. It's incredible what we can do with paint and a little elbow grease!! 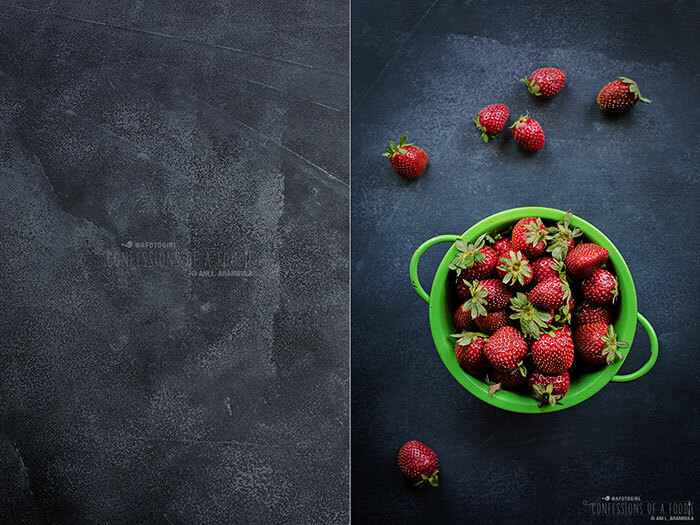 Love your tutorial on making the board for food shoot. 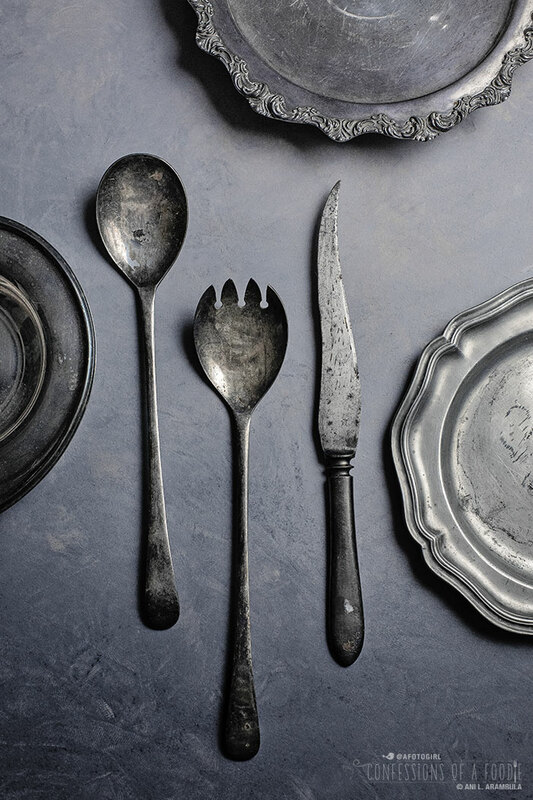 Did you tarnish their plate and cutlery or did you buy them? They are lovely! Wow, this is such an amazing tutorial and your photography is amazing. Thank you, I will putting this into action over the next couple of weeks! I followed your instructions with the crackle paste and varnish and made an ombre board of my own! I absolutely love it! At first I was really worried about the varnish and brush stroke because I had gone over a spot multiple times trying to get in the cracks, but I left it overnight and like you said, the stroke disappeared! Frances, your board came out so beautiful! So glad you enjoyed the tutorial! Yay! Very nice background, thank you for sharing. I think it's great idea to use such way to have unique background. Did you apply some filter to the back ground in Photoshop? Because they're looking so sharp and contrasted. I'm using https://aurorahdr.com/natural-looking-hdr-images to make something like this. Thank you! No, I didn't use a "filter" per se in Photoshop to alter the photos other than my normal editing which includes adjusting the histogram if needed, adding clarity, color balancing if needed, and some sharpening (I shoot RAW which means the files HAVE to have sharpening applied to them in post). i've never heard of masonite boards (i'm from the UK) do you know if there's any other name for them??? What kind of paint did you used? I try to work with water and t-shirt and do not have the same result (surface 4). Only black color or white color. No different shades of black from medium and light grays to the white base below. I used flat water-based interior paint from Behr. 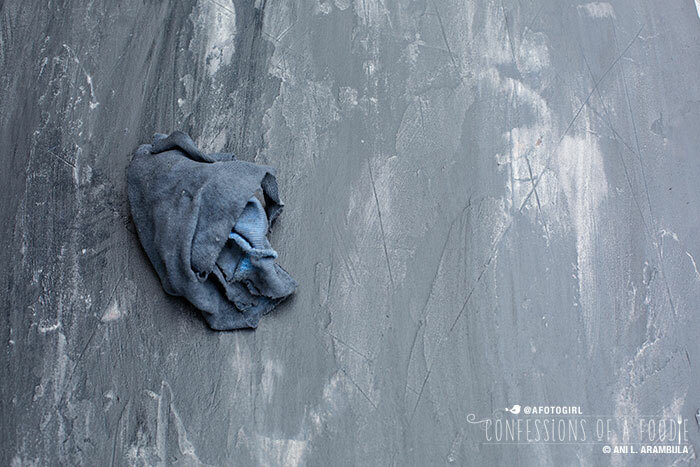 The key is to not let the paint dry before wetting and wiping with the t-shirt. As soon as you finish painting on the black paint, start spraying and blotting. Hope this helps. What a great article! 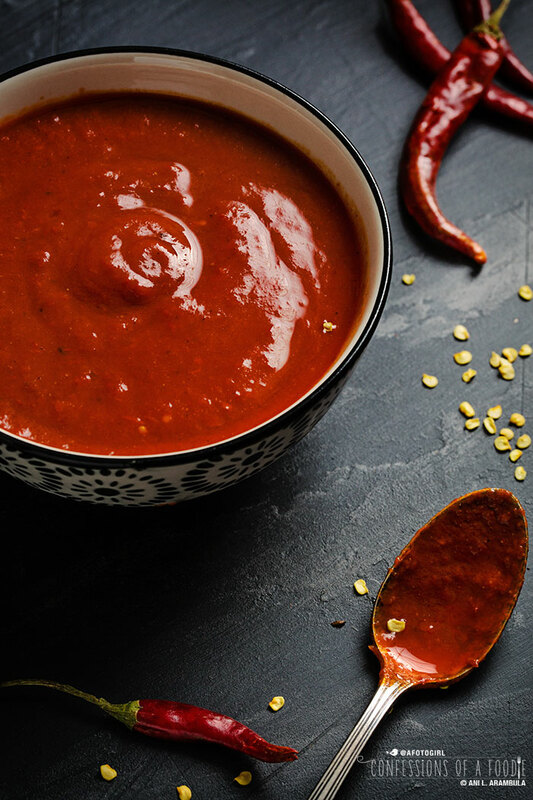 I'm always looking for ways to come up with new exciting surfaces for my product and food photography. Time to pop down to the local hardware store and relive my childhood memories from art class I think!! Yay! 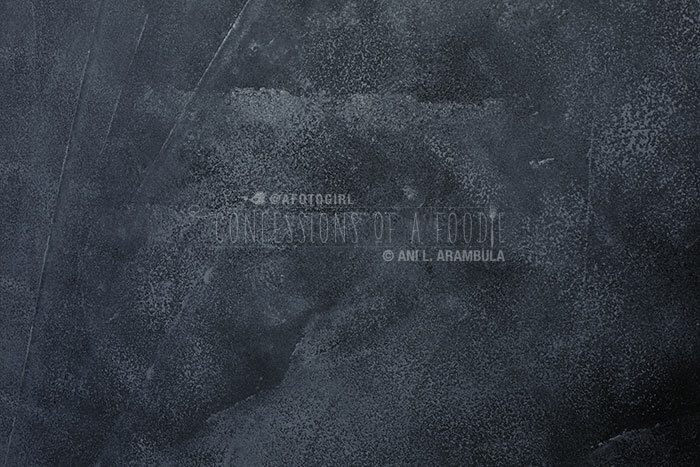 Share your finished project on Instagram and tag me so I can take a look (@afotogirl). I would like to ask you what kind color did you use. Is it interior color or color for wood or some other? Hi Tommy, I use interior and exterior wall paint, whichever has a color I love and can be bought in small sample sizes. 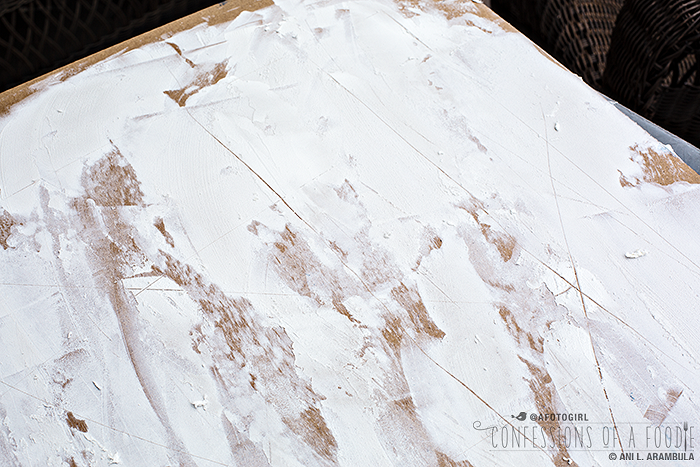 Does the molding paste work on any kind of wood or specifically masonite? Hi. I’ve had good luck with it on many different wood surfaces. Even used it on gator board with good results (it’s a thicker, stronger kind of foamcore board). I have to admit to some bias here, because I LOVE photoshop plugins. Not only is it available on the phone, but it’s got three different web versions depending on the type of image editing you want to do.